Q.U.B.E. 2 may not be the most groundbreaking game you’ve ever played but it is one you are going to want to pick up. 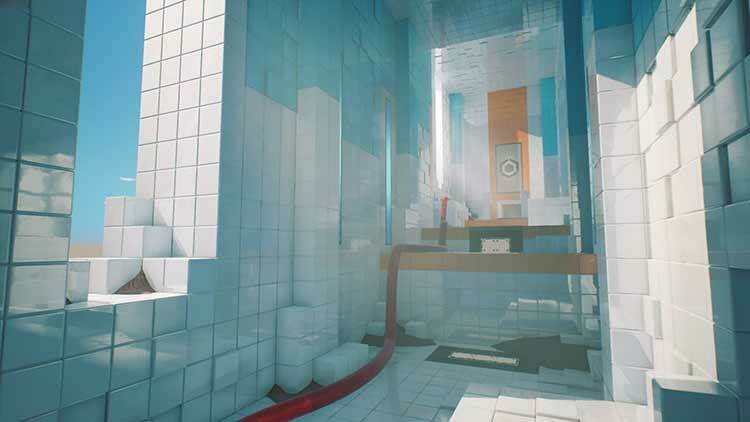 With mind-bending challenges, an audio treat, and stunning visuals, Q.U.B.E. 2 is a feast for the senses. The game isn’t terribly long and the story is predictable, but these are minor notes to a game that will keep you locked in. 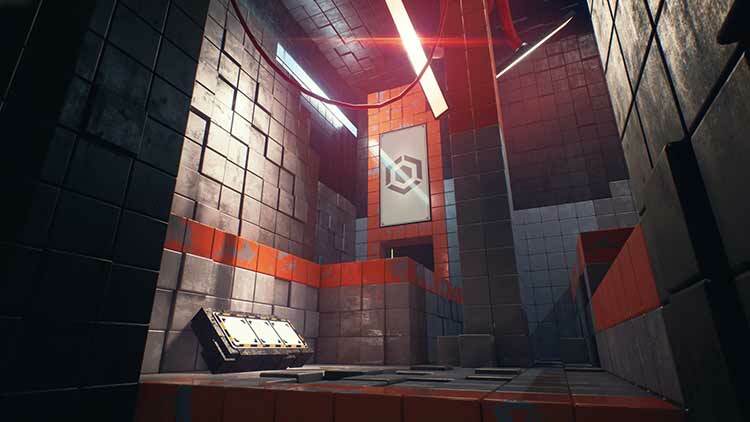 The sequel builds upon the foundation of the 2014 original in both gameplay and small additions in its artistic strides, but in the end, Q.U.B.E. 2 does little (if anything) with its visuals to warrant this a wholly-expanded sequel, pleasing as its puzzles may be. Even with engaging mechanics, the biggest complaint coming out of this ten-or-so hour game is its abhorrent lack of purpose in its world-building — the aesthetic being little more than some quick lick of paint and nothing more. Thanks to its derivative nature, Q.U.B.E. 2 never quite escapes the shadow cast by Portal. There’s too many similarities within its core mechanics, structure, and themes for it to stand alone entirely. And yet, once the player accepts that, they will find a compelling puzzler. There’s roughly five to six hours of gameplay here and, once Q.U.B.E. 2 is completed, little reason to return to its embrace. Yet whilst it burns it does so brightly, compelling the player to the end with several puzzles that equal Valve’s best. To sum up, Q.U.B.E 2 offers a fun and creative experience, but it's a little on the short side. The puzzles were a bit repetitive and not overly difficult to overcome. However, it does challenge you enough to be interesting. The variety of tasks will keep you going for a few hours and may even warrant a second playthrough (after you've forgotten all of the ways to complete them). It's a nice-looking outing and worth a punt if you like titles that require a bit of brain power, but not so much challenge that you need to be Einstein in order to progress. There is no doubt that Q.U.B.E. 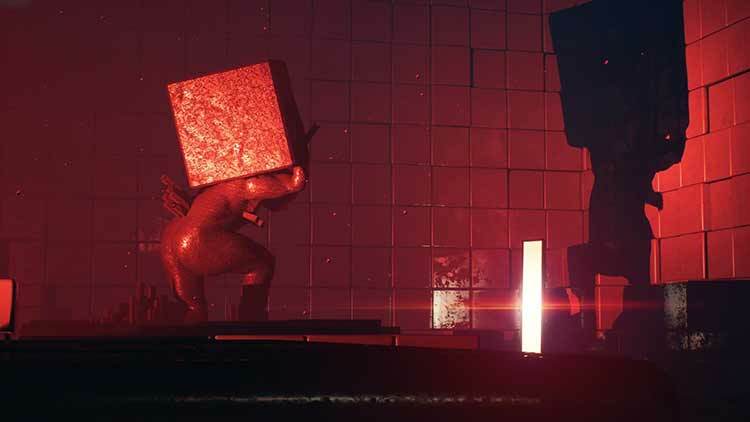 2 owes such a debt to a rich past, and with such a strong design direction and philosophy there is plenty to enjoy inside this geometric puzzler. Where Q.U.B.E. 2 really succeeds is reminding the player what is great about being locked in a room alone with a puzzle. It's a shame that the execution doesn't spread across all the areas, but there is certainly enough to enjoy and cherish in this gratifying design. With a serious tone, and a drama laden cast, Q.U.B.E. 2 is simply a cerebral experience. You'll be able to sit down, calm your nerves, and look at things from a different perspective, if only for the time it takes to master a sliding Q.U.B.E. jump. 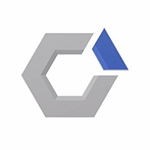 QUBE 2 llega cumpliendo la promesa inherente a una secuela: más y mejor. Mejora en cuanto a diseño de niveles y resolución de puzles, en términos narrativos y en cantidad de contenido (a la que se sumarán algunas horas extra gracias al Pase de Temporada). 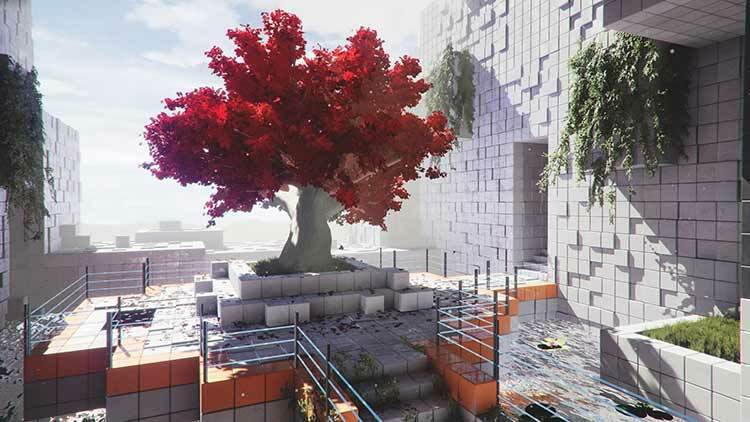 Pese a todo, algunos juegos de su mismo género en los últimos años -como The Talos Principle y The Witness- nos han demostrado que se puede ser mucho más ambicioso en el género. Al menos, Q.U.B.E. 2 es un juego de puzles notable y, ahora sí, muy original. Es difícil seguir pensando en este indie como un Portal de medio pelo, algo a lo que contribuye su nuevo aspecto gráfico. Mucho más rico en matices, los escenarios de Q.U.B.E. 2 ya no son habitaciones teñidas de un blanco nuclear demasiado parecido al que usa Valve. La iluminación es excelente y los escenarios mucho más variados, incluyendo naturaleza llegado el momento. Si sois aficionados al género Q.U.B.E. 2 es más que recomendable, es una de las mejores aventuras de puzles en primera persona que hemos jugado en los últimos tiempos. Aunque no acaba de funcionar en lo narrativo, en la parte jugable lo hace todo de manera impecable, con rompecabezas muy ingeniosos, introduciendo nuevas mecánicas constantemente y con una curva de dificultad inmejorable. Sondern, weil in diesem Rahmen die Puzzle-Elemente einerseits entschlackt wurden, andererseits in ihrer Kombination und mit neuen Anforderungen versehen, ein von Anfang bis Ende unterhaltsames Rätsel-Erlebnis in Ego-Sicht bieten. Zumal die Geschichte interessant genug ist, um in Ruhephasen bei der Stange zu halten und gelegentlich interessante Fragen zu stellen, dafür aber die Figuren zu wenig Beachtung schenkt. Dennoch ist Q.U.B.E. 2 ein richtig gutes Rätselspiel. 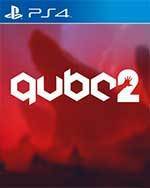 Q.U.B.E 2 démarre bien, Q.U.B.E 2 est plutôt joli, malheureusement Q.U.B.E 2 ne nous surprend jamais vraiment. Dommage, cette suite avait pourtant tous les ingrédients pour emprunter une voie bien plus originale : un contexte intriguant, de nouvelles mécaniques de jeu et des environnements plus variés. Au lieu de cela, il se contente d'aligner en toute sécurité une série de salles au challenge bien trop répétitif et facile à appréhender. Q.U.B.E. 2 coinvolge il giocatore in un viaggio misterioso, condito da rompicapo intricati, portandolo ad apprendere un linguaggio bizzarro ed efficace in cui il cubo è la cifra fondamentale. La semplicità del meccanismo di base costringe purtroppo la storia ad evolversi nell'arco di poche ore di gioco, per evitare di portare ad una ripetitività che già comincia a fare capolino nelle ultime fasi del titolo targato Toxic Games.